Excited recipients try to play it "kool" when they receive the Kool Klick mechanical pencil! 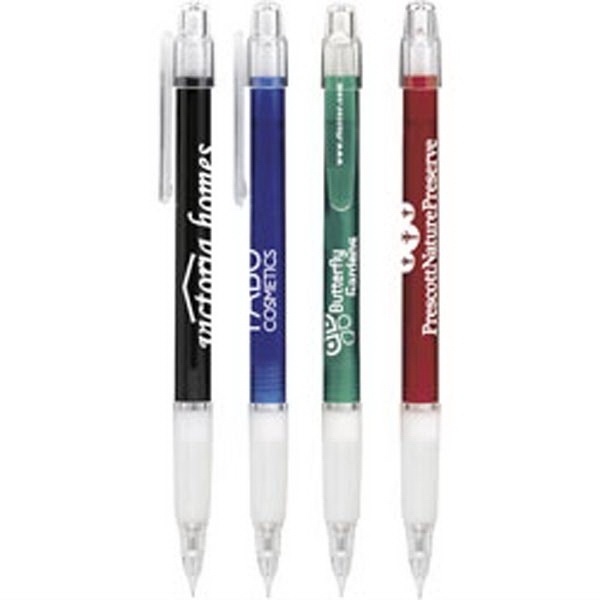 Featuring great colors and multiple imprint areas that make this eye-catching giveaway a best seller, this plunger-action mechanical pencil has a grip section, colored barrel, clip and refillable 0.5 millimeter lead. 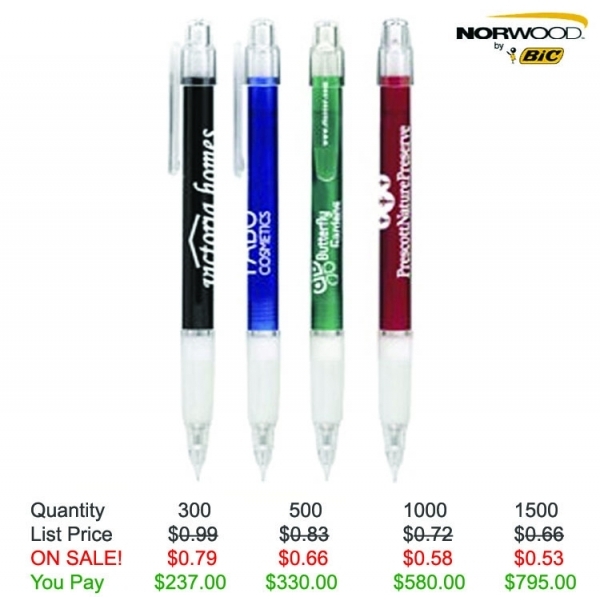 Measuring 5 5/8" L x 7/16" diameter, it's great for promoting your brand everywhere users go. Capitalize on the exposure by ordering yours today! 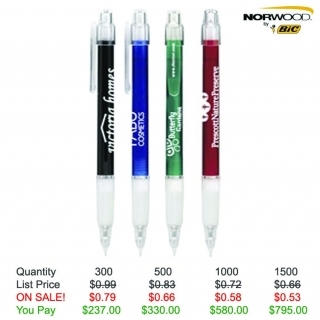 Product Features: Mechanical pencil has a grip section, colored barrel, clip and refillable 0.5 millimeter lead. 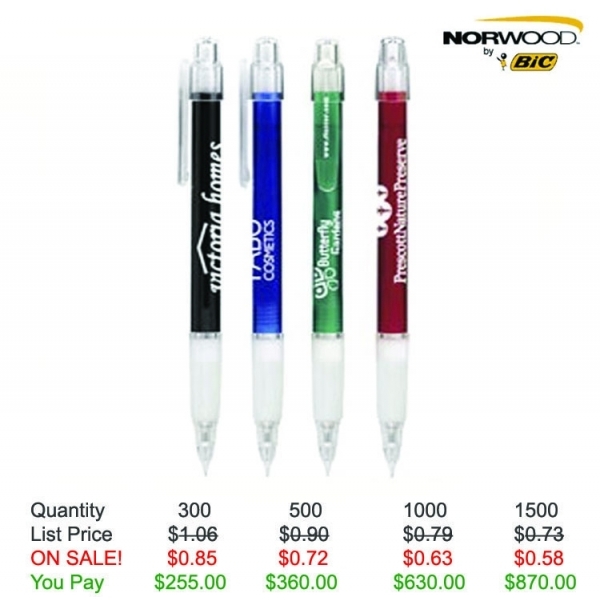 Item Size: 5-5/8"l x 7/16" dia. Kimberly C and the kids too! We can't tell you enough how happy we are with the pencils! Thank You for all of your help! PS the logo looks awesome and the kids really get a kick out of seeing their school name on them too! You guy's rock!